Mmmmm...I love perfume. I definitely have my favorite scent (Wild Honeysuckle Body Spray from Bath and Body Works) but am always trying out other fragrances. You never know when another favorite will come along. 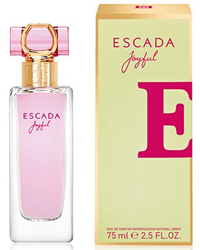 Click HERE to get your very own FREE Escada Joyful Fragrance Sample! Sounds yummy...can't wait to try it!